Papa MTH2014, please share the set of mt5 indicator on this chart picture. Thanks. Hi Brother.. sure .. here we go..
"Some are faster, some are slower, and some will never get it...lol" "You may be right but certainly not the only one... So, remove that smug smile from your face"
"If you are too proud of yourself right now, sooner or later the reality will hit you" "with flock of penguins around me, I will always feel the warmth and happiness"
"if you don't want to ask when you learn, you will never be asked in the future and that means you become nobody"
this is 3 of them that I Know.. you could test and observe by yourself..
Wow! Papa, you are indeed a caring soul that always feel for other, you always surprise me with your share. I pray God will keep on bless you and your family. You are my role model, mentor and hero. I will be glad to meet you one day. Thanks so much. Sir, you are blessed. Pls, can i use this template on M1 or is there a setting for M1? Thanks. Well since this period ratio of all indicators use quarter theory calculation, then this template is not TF dependent , so you could use it with same setting in all TF.. just test by yourself.. the basic visual analysis will be the same in all TF.. and using multi TF charts analysis will give you the best result.. Thanks for the response, highly appreciated. I have reply the PM, pls check. Thanks. Hello sir, please Macd and band didntt show on my template and i try to apply it manually, still not showing. Pls help. Thanks so much sir. Everything fine on my side, do you check is there any errors msg on journal/expert tab ? I have been following you since PT Forum, and I read many of your very interesting postings. There's a lot of treasure in your postings - maybe after the secon, third or 10th time I read it, but it's always worth to discover in your contributions. 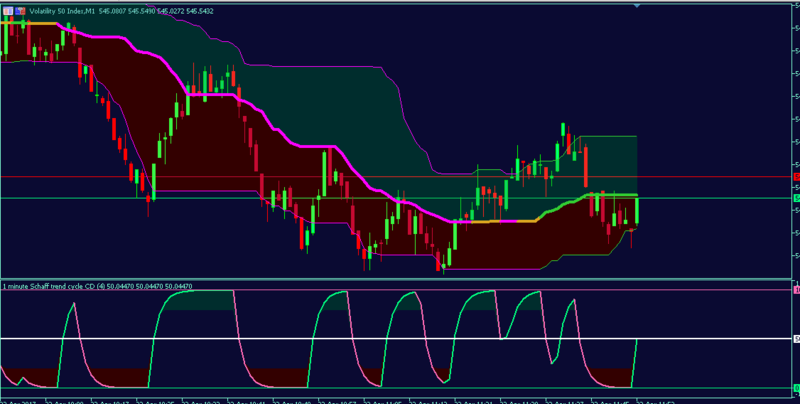 In your Setup above, you mention the Quantile Band as Range/Zone indicator. I'd like to ask you, what zones are you talking about, or what does it mean when Price is in one of that zones? And, how is this Band's purpose different from Bollinger Bands? and also nice to see you here in BOE.. thank you..
Quantile Band, is more or less like mixing between Bollinger Band and Donchian Channel , basically this is visual high/low indicator, so you could use it as trend indicator (by looking at the middle line), or as S/R indicator (by looking at the flat upper/lower band lines), or momentum breakout indicator (by looking at the squeeze and expand process of the bands), or zone/range indicator (by looking at the interaction between candlesticks behavior/PA and the filled band colors). In relation with Bollinger Band, this tool could be compliment / confluence each other as long as you could set the parameters correctly and logically make sense depend on what you know and what you need..
remember that any tools is just 'exactly same' tools.. we could learn to ride a motorbike maybe for 1 or 2 weeks, but need years, thousand hours of practices with constant focus and huge gut to be Valentino Rossi. This Quantile Band (just like many of my already 'shared' tools) could be 'holy grail' or 'total disaster' depend on you point of view, if you understand the 'keys' then is not that difficult to understand the market. Here is example on how to look at some of the Quantile Band 'keys'.. Thank you very much for your explanation. Your summary of the visual High/Low indicator type does in fact help to see things more general! Regarding your picture you showed how to look at Quantile Bands, I couldn't understand the reason why the Buyer/Seller Zone from the Institutional POV is the other way around as the ones from the Retail POV. Or did I misunderstand it? Is it that Retail Traders usually concentrate on smaller subcycles/trades or is it because of different trading approaches of R. and I. ? I hope you don't mind if I ask another question. I see how the dynamic S/D Levels, (3) in your picture, (dynamically) appear (similar to BB/ZigZag highs/lows, etc.). But when do those S/D Levels disappear again? My understanding is, that those S/D levels are "valid" until they are hit by the price (or price closes beound a level). But what if the price doesn't reach such an S/D Level for a long time (or close beound the Level)), does the S/D level "expire" through any other event or time (e. g. number of bars related to TF/indicator parameters)? Retail traders usually open small lot size, but there's so many retail traders in the world and keep growing up, the most common trading process, your order send to brokerages then brokerages send to liquidity provider poll then enter the inter bank market. Logically when you 'win' you take some one else money, and when you 'loss' some one out there received your money. This 'some one out there' could be retail traders or institutional traders (speculators, hedge funds, quant/HFT algos, banks, central banks, etc). Institutional traders, usually has well prepared trading plan for long term with strong arsenal, so we could easily guessing who is the 'victim' most of the time. From visual psychological reaction, for example, when price 'hit/break' previous high, retail traders mostly think that this is time to go short/sell, because this is the top, while institutional traders think that this is time to go long/buy due to representation of the market strength (the breakout). That why, usually they are in opposite side most of the time, and of course we know who will win. Please look at in history, how price action / reaction in relation with this Quantile Bands upper/lower flat lines, and also the 'divergences' moment between this flat lines and price candlestick momentum.. later I will give you example pictures.. but to understand more on that you should have base knowledge on cycles first.. so, please look at this QB upper/lower lines behavior for a while.. Thank you for your answer and all the explanations. I started looking into the QB lines/related PA and one of the first oberservations I made was that when you consider a band direction's change as a begin of a new cycle (an upper band from down to up or a lower band from up to down), flat lines of the previous cycle seem to be "valid" S/D Levels (flat lines of older cycles than the previous one are not valid anymore): If the price breaks out by close beound one of those valid levels, the next valid level is the next target. But it's just a first impression. I'll keep looking for further correlations and/or confirmation of the above described. Hi Brother. Please if you can convert the below indicator from MT4 to MT5? Hi Brother, sorry for late reply..
hey man,about trading breakouts from S/R, what are the things to look out for to determine whether the price will continue rising or will reverse after the breakout ? Hi Brother sorry for late reply, there's no exact way to determine whether price will continue or reverse.. , this is only about higher probabilities.. for example when current trend is up trend then breakout previous high give us bigger probability that price will continue higher while breakout previous low mostly will give us bigger probability to bounce/rejection/ false breakout.. I understand brother. It's Ok. Already asked Mladen on FF. If he can(oops, of course he can, correct: "If he has free time" ) he does. And of course I'll share it here.